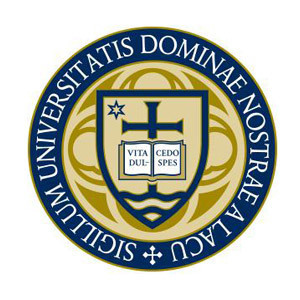 The University of Notre Dame is seeking comments from the public in preparation for its periodic evaluation by its regional accrediting agency. Notre Dame will host an evaluation visit from a team representing the Higher Learning Commission of the North Central Association from March 31 through April 2. The team will review the University’s ongoing ability to meet the commission’s criteria for accreditation. As part of the process, the University is inviting members of the community to share input regarding Notre Dame. Comments must address substantive matters related to the quality of the institution or its academic programs. Comments must be in writing and signed, and cannot be treated as confidential. Anyone who would like to comment can mail their input to the following address: Public Comment on the University of Notre Dame, The Higher Learning Commission, 230 S. LaSalle St., Suite 7-500, Chicago, IL 60604-1411. Comments can also be submitted on the commission’s website at provost.nd.edu/HLC-comments. All comments must be received by Feb. 15 (Saturday). The Higher Learning Commission is an independent corporation and one of two commission members of the North Central Association of Colleges and Schools, which is one of six regional institutional accreditors in the United States. The criteria for accreditation include mission; integrity; teaching and learning: quality, resources and support; teaching and learning: evaluation and improvement; and resources, planning and institutional effectiveness. The University has been continuously accredited since 1913 with its last reaffirmation of accreditation in 2004-05. Originally published by Notre Dame News at news.nd.edu on February 05, 2014.